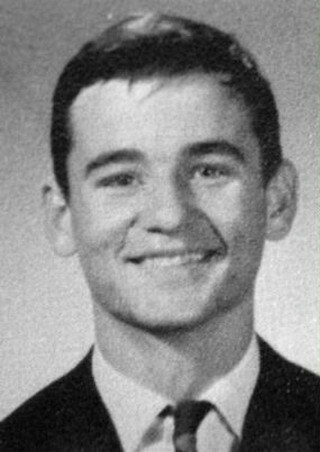 "William James Murray was born on September 21, 1950, in Evanston, Illinois, a suburb of Chicago; he grew up in nearby Wilmette. He was the fifth of nine children for Ed­ward and Lucille Murray. Money was tight; the kids slept three to a room. 'In a large family,' Bill said years later, 'you have to learn to get along.' Coming before Billy, as he was known as a kid: Edward, Brian, Nancy, and Peggy. Coming after him: Laura, Andrew, John, and Joel. When you're the middle child in a large family, it's hard to get attention from your parents. Billy figured out early that a surefire way of doing that was to make his father laugh. One of his most vivid childhood memories is the time he stood on his chair at the dinner table, doing a Jimmy Cag­ney impression. When Billy fell off, he smacked his head painfully on the table leg. Through his tears, he saw his father laughing, and the pain seemed worth it.
" 'No drunken audience could ever compare to working our dinner table,' Bill remembered. 'If you got a laugh, it was like ... whoa! It was like winning a National Merit Scholarship.' Three of Bill's brothers went into show busi­ness, the most successful of them being Brian, who works under the name Brian Doyle-Murray. His older sister Nancy became a nun -- they called her the 'white sheep' of the Murray family -- and still ended up as a performer, touring the world with a one-woman show about a fourteenth-century holy figure, St. Catherine of Siena: A Woman for Our Times. "In the final days of 1967, Bill's father died from diabetes; he was forty-six, and Bill was just seventeen. After the fu­neral, all nine Murray children, plus their mother, Lucille, packed into a limousine, overwhelmed by grief. Punchy and exhausted, they started laughing hysterically, making fun of everyone else walking out of the church. 'The driver didn't know what to make of it,' Bill said. 'It was like the left-field bleachers in Wrigley Field.' Money was even tighter after Edward's death, so Lucille went to work, laboring in the mailroom of a medical-supply company, and Bill took on hours at a local pizza parlor to help support the family."